Solala Towler has taught and practiced Taoist meditation and qigong for over twenty-five years. He is author of twelve books on Taoism including Tales from the Tao, The Tao of Intimacy and Ecstasy, Practicing the Tao te Ching, Chuang Tzu: The Inner chapters, and Cha Dao: The Way of Tea. He is the editor and publisher of The Empty Vessel. The Empty Vessel is dedicated to the exploration and dissemination of Daoist philosophy and practice, including qigong, Chinese medicine, internal alchemy, sexual cultivation, and more. 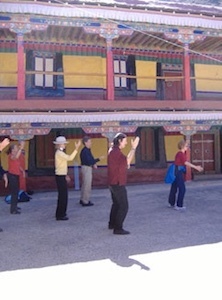 It is open to sharing the various traditional and contemporary teachings in a nondiscriminatory manner in the belief that it is in using these practices and attitudes of the ancient achieved masters in a timely and contemporary manner that we can best benefit from them and in doing so, be able to effect change in the world around us. Towler also teaches qigong and sound healing at conferences and workshops around the United States and leads study trips to China. He is founder of the sacred music ensemble Windhorse and has recorded a number of CDs of meditation/relaxation music which have been used in many qigong DVDs. The mission of the Abode Tao is to create a community of people interested in pursuing Daoist thought and practice. 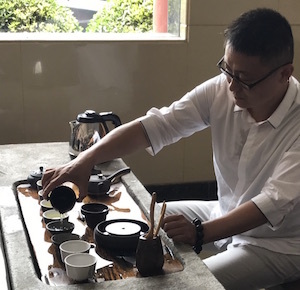 Abode Tao publilshes a magazine (The Empty Vessel), organize tours to the sacred Daoist mountains of China, offers qigong training, and provides tools and resources to live a centered and balanced life in the contemporary world. The organization was created in 1993 by Solala Towler. 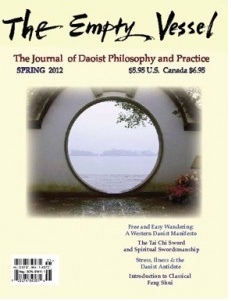 The Empty Vessel is dedicated to the exploration and dissemination of Daoist philosophy and practice. It is open to sharing the various traditional and contemporary teachings in a nondiscriminatory manner. In using these practices and attitudes of the ancient achieved masters in a timely and contemporary manner, we can best benefit from them and in doing so, be able to effect change in the world around us. When we drink the tea, we need to slow down and feel the different kinds of energy in each small sip of tea with different parts of the mouth and the heart.